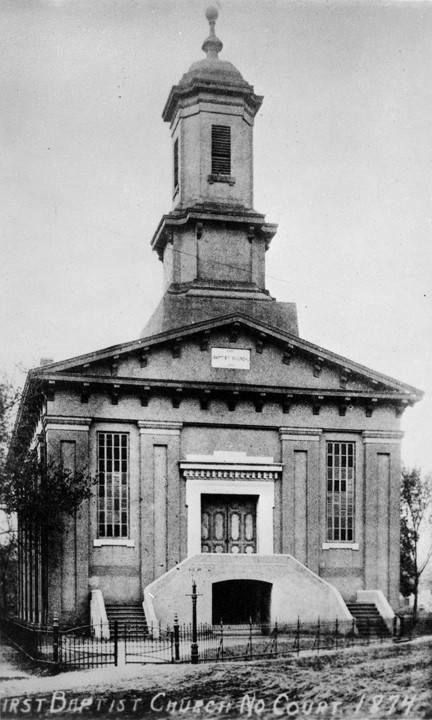 The Baptist church at the earliest settlement of the county (Montgomery, Alabama) was the prevailing denomination. They had more churches and larger congregations. This was before the division, when there was only one Baptist denomination. They were quite democratic in their views and customs. They claimed that each church was sovereign and independent. They did not let any one dictate to them or influence them in their mode of worship. They called their own preachers and they did not fix a salary, in fact nothing was ever said about a salary. Each member paid what he could afford, or nothing, as he saw proper. They took the Bible for the man of their council. They claimed that they did not advocate any doctrine or principle not laid down in the Bible. They claimed that they had Bible authority for believing in the doctrine of predestination and the final perseverance of the saints. First Baptist Church on the corner of Bibb Street and North Court Street in Montgomery, Alabama. They believed in the foreknowledge of God, and that God did, before the foundation of the world, ordain that a portion of the world should be saved and a portion be lost. They believed in baptism by immersion and close communion. They contended that the baptism of Christ by John was their authority for baptism; that they went down in the water and John did baptize him; and they both came out of the water. They were opposed to all secret societies and organizations, and contended that the Bible was a sufficient guide to control the actions of all mankind in whatever capacity. The Baptist church, at the time we write, claimed that they had descended from a direct live of succession from the day of John the Baptist. 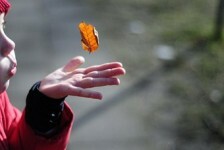 That it had been handed down from generation to generation, from father to son. Now this old Baptist family that had worshiped the same God had been baptized, as it were, at the same baptismal fount, and had partaken of the emblems of the broken body and shed blood of their Savior at the same sacramental board, was about to separate and dissolve. The question of foreign and domestic missions had been agitation the church for a number of years, part of the membership being in favor and part opposing. At an association held with Bethel church in the southwestern portion of the county ( the old church building is still standing), on Monday after the first Sunday in October, 1837, the separation took place. It was painful and distressing to see this old Baptist family part company. Sons leaving their fathers daughters leaving their mothers. (It is supposed that the writer is the only person now living that witnessed this separation.) The separation was final and forever. The original old Primitive family are still in existence; they still hold to the old faith and practice. It is a good old family; they are honest, good citizens and neighbors; straightforward and correct in all their dealings with their fellowman; drink a dram whenever they want to, but never drink to excess. They were the original old soldiers of the cross, and served their day and generation, and have accomplished a good work. Faith and Courage: 2nd edition -A Novel of Colonial America (Tapestry of Love Book 2): Book 2 in Tapestry of Love Series Inspired by real people and actual events, this family saga of colonial America continues with Ambrose Dixon’s family. Faith and Courage presents the religious persecution of Quakers in Pre-Revolutionary War days of America intertwined with a love story. 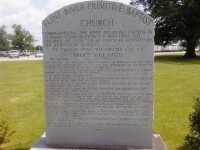 1824 Mary Pruit [sic] was listed as one of the “Founding Members” of the Bethlehem Baptist Church, near Lewisville [later Louisville], AL Pike (now Barbour) Co, AL, founded 25 April, 1824. Source: ‘Pike County, Alabama, Bethlehem Baptist Church Records,’ contributed by Mrs. B. W. Grandrud, Tuscaloosa, Alabama – The Alabama Genealogical Register, Vol. V, No.’s 3 & 4, September-December 1963 (Willo Publishing Company, Tuscaloosa, Ala., 1962), pp. 192-193. Would like to hear from anyone researching Pruetts. My great grandfather Ashley Bartow Metcalfe was an attorney in Dale County, Al in the 1880’s…then received his Doctor of Divinity and became a Baptist preacher in the 1890’s. 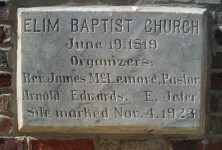 He was a pastor in Al an Ga until 1940. He Moved Back To Montgomery where he lived until his death in 1947. His father Rev Henry J Metcalf was a Methodist preacher until 1887. The article would lead readers to believe that Baptists are a traditionally Calvinistic body, but in fact they were historically a blend of both predestinarian and free will elements. The initial missionary split came with the free will Baptists (also called general Baptists because of their belief in general atonement offerd to all mankind) arguing for evangelistic missions, while predestinarians (also called particular Baptists because of their belief that God desires to save only certain people) argued that mission work was pointless since God would save whomever He wanted. Also, there are several references to “the Baptist church.” Baptists, though, do not conceive of themselves as a church, but as an association of many churches (each local congregation being completely independent of all others). Reverend Phillip Belcher, originally from Georgia, worked as a minister in Sumter County, Georgia, and then moved to Barbour County, Alabama, where he founded the Belcher Beulah Baptist Church in Baker Hill. He continued to perform the Lord’s work in a variety of churches in Henry County, Alabama. His last known address was Franklin, Alabama, now covered by the waters of Lake Eufaula and directly across the river from Clay County, Georgia and the town of Fort Gaines. 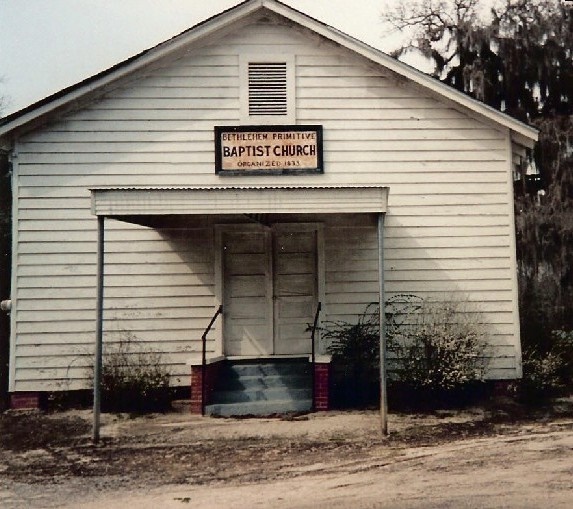 Reverend Belcher was mentioned numerous times in the Judson Baptist Association Annual Meeting Minutes as a missionary whose income was subsidized by the member churches of the Association. He died in 1874 or 1875, prior to October of 1875. We do not know where he is buried; to date, no Belcher descendant has found his grave, or the graves of his two wives: Mary Causey Belcher who died prior to the family moving to Alabama, and his second wife, Annice Albritton Belcher of Macon, Georgia. My great great grandfather did not accept a salary at his Baptist Church in Alabama. He was a surveyor and a farmer. 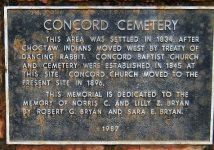 As far as I know all of my family were “Missionary Baptists” but Mary’s family were Primitive Baptists ( or “Hardshell Baptists ” as my Dad used to call them). They were extremely Calvinistic in doctrine and practice and most churches met once or twice a month. They are still around but are small because of their doctrine of predestination. They do little outreach but they were the leaders in providing care for widows and orphans. more than 43000 Christian denominations world wide. And the members of the church would follow along in their Bibles with the minister. If they disagreed or didn’t understand something they met the preacher after church with their questions! Or as my father–Grover Carpenter of Oxford, Alabama– a longtime deacon and adult Sunday School teacher would do (oft to my mother’s dismay), clear his throat loudly and say “Unh. unh, unh. Let’s get it right now.” Right during the preaching!! My dad was usually correct about Bible teaching as he read the Bible often and deeply. I got my nerve, or as some might say “gall,” from him. No bashfulness allowed. I think a forthright attitude, a “straightshooter” personality, was and is common among country, old-way Alabamians. But always with good manners. We attended Bethlehem Baptist in Friendship community (Oxford). Years ago it was WAY out in the country, near where Hillabee heads toward Cheaha. Now it’s all built up. I hardly know it. I haven’t been back for 8 years as we live in Wilmington, NC. I very much enjoy your writings about the strong Indian influence and presence in Alabama. 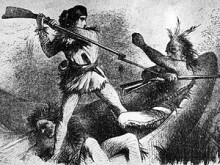 Most of what I’ve learned about Indians has been through my own reading and study. Native Americans were given little to no attention all through my school years. What a shame. I do hope it’s better nowadays. Can anyone tell me about the hill at Oxford that was destroyed for fill dirt to build the Walmart there. I believe it was a mound with NA graves and that some people didn’t care if it were removed . Roughly to the south of the hill is where Bethlehem BC is located. I lived in Friendship community for over 20 years and must say I never heard a peep about that hill/mound being Indian related. Thanks for all your wonderful information. Thanks for your comment! We enjoy finding these stories. My great, great grandfather, Philip Sieber, Jr. came to Benton Co.,now Calhoun Co. In the early 1830’s. 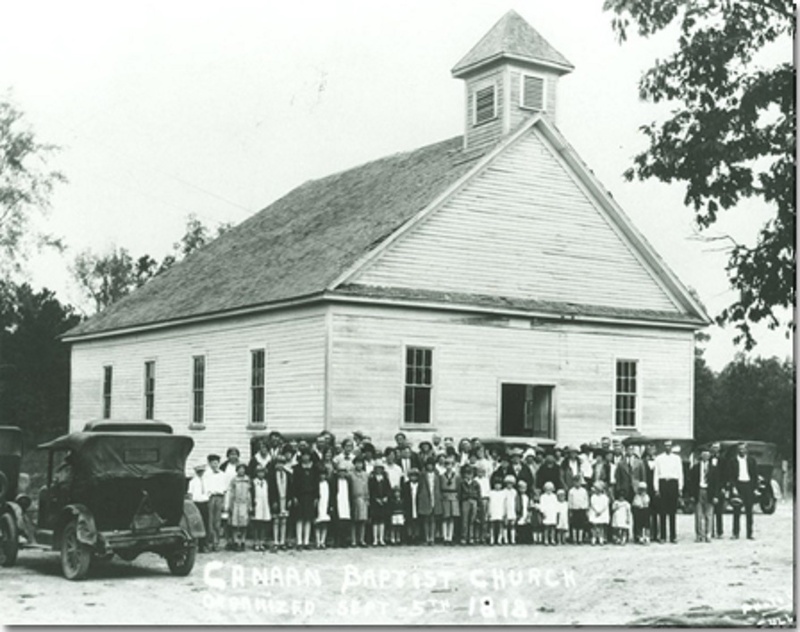 They settled in what is now the New Liberty Baptist Church community. I understand that he was a Baptist preacher and help found several churches in the Jacksonville area. 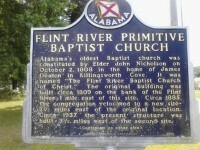 Has anyone aware of any historical articles about Baptist churches in this area of Ala.? 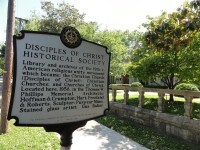 I am interested in furthering my knowledge about this area in the 1800 hundreds. My Great Grandpa, Asa Iley Jones, became a Missionary Baptist Preacher. This article was helpful in learning the differences between Primitive and Missionary Baptists. He was living in AL when he married in GA in 1872 and was on the 1880 Floyd’s Mill, Lee Co., AL census. He and his wife and children moved to MS around 1888.